It offers many benefits but is it the best choice? 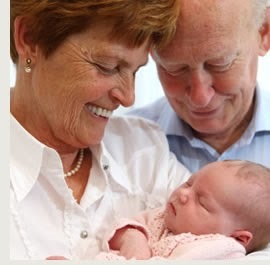 With child places at a premium and the cost of care on the rise an increasing number of Australian families are looking to grandparents for help with child care. In fact, ABS figures show that 937,000 children received care from a grandparent on a regular basis in 2011. Child care by grandparents offers many benefits, including reduced costs, the chance to build strong bonds between grandparents and grandchildren and the reassurance that comes from knowing a loving and trusted family member is caring for your child. However, it’s important to do the groundwork and ensure everyone is on the same page before the child minding arrangement begins as you can’t change grandparents as easily as you can change a child care provider. Is grandparent care really the best choice? Are the grandparents physically up to the job? Can they manage the stroller, the lifting and the physical activity involved in caring for a small child? Are the grandparents mentally up to the job? Will they be able to handle the emotional challenges of dealing with a small child? Would a regular child care commitment impinge on their lifestyle and personal commitments leading to feelings of resentment? The last thing you want to do is put your parents under any pressure to care for your child if they are not actually up to the job, this would be bad for your child, bad for your parents and bad for your family’s relationship with them. If you have any doubts about their physical and mental ability to do the job then you should consider other types of care such as a nanny, family day care or centre based care. A shared care arrangement could also be an option where, for example, the grandparents take your baby for one day per week and you use a child care provider for the other days. If, however, the grandparents are fit and well and up to the challenge then it’s time to lay the groundwork! The first thing you need to do when considering a child care arrangement with grandparents is to sit down together and work out the ground rules of the arrangement. It’s important for everyone to have a very clear idea about what is expected. Will it be a regular weekly arrangement and if so how many days, which days and for how long each day. Long day care providers offer care from 7am until 6pm and if that is your expectation you need to ensure your relative is okay with that. If it is at your house then you need to allow for travel time and ensure you have adequate supplies of everything to make the job as easy as possible. If the care is at their place then you need to conduct an audit of the house to ensure it is baby proof, provide them with all the necessary supplies, including but not limited to a cot, high chair, nappies, wipes, a car seat, spare clothes, toys and milk or formula. Although some grandparents may be willing to provide child care for free, for others it may be a case of having to stop work in order to do so. In this case you should look at some form of payment. You should also consider a reimbursement or petty cash system for any expenses which come up while the baby is in their care. If your relative refuses to accept any form of cash payment then you could consider regular treats or gifts such as movie tickets, gift baskets or any items you think they would appreciate. You know how tiring caring for a child is and it is important to keep in mind the generosity of what your family member is doing! Grandparents have plenty of experience when it comes to raising kids and you are living proof of that! However, parenting involves many personal decisions and you and your relative’s ideas on the best ways to bring up the grand kids may not always marry up. It’s normal to expect grandparents to indulge their grand kids on the odd occasion however, if they are caring for kids on a daily basis then you’ll need to establish some ground rules on treats and the routines and philosophies your family adheres to. Food: If you have clear ideas about what and when your child should eat then explain this to your relative, better still write down a meal plan and stock the fridge with food that supports the meals you have in mind. Grandparents naturally want to treat their grand kids and that is fine but should be on the odd occasion and not daily. If you are worried about your family member’s ability to cook then prepare the food in advance, explain the rules around where the child can eat (High chair? Table? Stroller) if and when snacks are permitted and make sure you advise them on any anti-allergy protocols in your house such as no peanuts before 12 months. The thinking and information around allergens will have changed since your relative was a parent. Sleep: Is it okay for your child to cat nap in the car or stroller during the day or would you prefer all sleeping happened in the cot? Does your relative know and understand all the safe sleeping guidelines? Would you like your relative to wake the child up after a certain amount of sleep to ensure they sleep at night, is your baby allowed a dummy at nap time? Does your baby sleep at certain times or do you have an “anything goes” approach to the issue of sleep? Whatever the procedure is in your family you need to be explicit and direct with your relative. Discipline: Although this won’t be so much of an issue for grandparents minding infants it will certainly turn into an issue as the child grows. If you are the parent of a very young baby it will help galvanise your thinking abut discipline to have a conversation with your family member, even if it isn’t actually relevant just now. Be clear about your warning system, whether or not you use physical punishment, what words you would prefer they use when dealing with tantrums and how you would like them to reward good behaviour. Discipline can be a very divisive issue and one you should aim to be consistent on. If compromise is necessary to ensure a consistent approach then you should seriously consider taking that direction. Crying: Another issue which can divide wholly invested parents and family members is how long you should leave a child to cry before going in to soothe him or her. If your family favours attachment parenting then no crying will be tolerated, if however you are sleep training you may accept crying as a part of the process. You and your relative may sit on opposite ends of the spectrum when it comes to crying and if that is the case then you will need to explain your point of view and the reasons for it as clearly and directly as possible. If your relative’s views are strongly held then you will need to consider their opinions and experience as well. Finding a middle ground will be the best way of ensuring your philosophy is adhered to as closely as possible. Activities: Gone are the days when it was considered acceptable for children to be plonked down in front of the TV for hours at a time. If you have strong ideas about how you want your child to be spending their time then make it happen, write a list of possible activities the relative could do on a daily/weekly basis (story time, park visits, beach trips etc. ), sign your child and carer up for classes, provide a box of age appropriate toys, activities and books, arrange play dates and play groups and so on. Downtime: It’s reasonable to expect your relative to have some downtime during the day. If they have regular commitments or chores that need to be done then check it’s okay to take your child along. It’s reasonable to expect them to get on with their life in the same way you would if you were home, as long it doesn’t interfere with the responsibilities of caring for your child. If your relative naps at the same time as your child then provide them with a baby monitor to ensure they can hear the baby wake up. Whatever you decide keep in mind the fact that your relative has a lot of valuable experience and the simple fact that you are comfortable with them potentially looking after your child suggests that you probably have some parenting philosophies in common. Relinquishing control is hard to do as a parent but is something which will pay off and as long as you maintain good lines of communication with your family member then the care arrangement should be successful. If and when disagreements come up, try not to sweat the small stuff. Focus on maintaining a warm, loving and consistent approach and accept that even if you and your relative do some things differently as long as you both have the child’s best interests at heart then your child will thrive. According to Dummies.com a recent study found that 20 percent of grandparents who are responsible for caring for young children 30 or more hours a week meet the criteria for clinical depression. If your family member is depressed, you will need to help them seek medical assistance and make alternate child care arrangements as quickly as possible. There is a range of government services available to help grandparent carers and it might be helpful to look at the resources available and show your family member where to find the information relevant to your circumstances. understanding and supporting your family circumstances and the unique conditions faced by grandparent carers. arranging referrals to other federal, state and community service providers who may also be able to help grandparents meet their care commitments. For more information on grandparent advisers click here. There are several payments to help non-parent carers, such as grandparents, who provide care to a child. Family Tax Benefit is available to help with the costs of raising or caring for children. It is made up of two parts – Family Tax Benefit Part A and Part B. If you claim Family Tax Benefit Part A for a child in primary or high school, you may also be eligible for the Schoolkids Bonus. The Schoolkids Bonus helps with the cost of education and will be paid to eligible non-parent carers in two separate instalments each year – one in January and one in July. Jobs, Education and Training Child Care Fee Assistance which can help meet the cost of approved child care by paying some of the ‘gap fee’ not covered by Child Care Benefit for the hours of care needed for approved activities such as job search, work, study or training.